Well that was a long road trip! 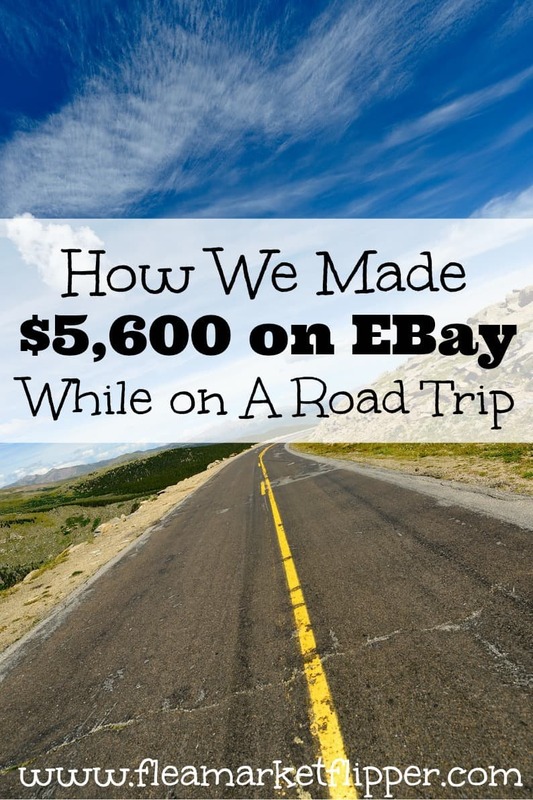 We covered over 3,000 miles through 12 states in two weeks time, and made $5,600 on eBay while doing it. AND we did it with 3 kids: ages 4, 2, and 8 months! WHEW! They actually were great travelers. They impressed both my wife and I. 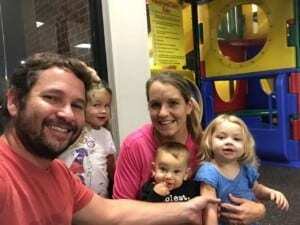 When they needed a break we would look for a Chick Fil A for lunch or dinner so they could run around on the indoor play ground. Chick-Fil-A really saves our sanity on road trips! Ok, back to the trip and how we made our money while on our vacation. At the last minute we decided to leave on our road trip a few days early. This made Melissa a little concerned that we wouldn't make enough before we left to cover our monthly expenses. She told me that we needed $3,500 in the last two weeks of the month (that we would be gone). She is the one that tracks the finances and does our budgeting, but God is the one that is completely in charge. He helped us not only reach our need of $3,500, but helped us exceed it by almost $2,000!! We decided to hitch up our trailer and throw in some of the smaller items we have for sale, so we could pack them up and ship them out if they sold while we were gone. Well they did! 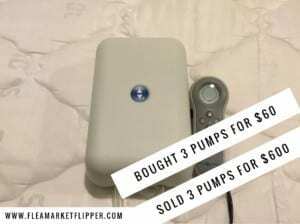 The first thing that sold was one of our 60 Sleep Number Mattress pumps for $200, and then we sold 2 more by the end of the trip ($600 total). I believe I am down to 15 of them now. 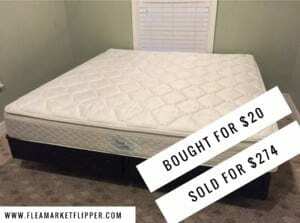 Next I sold one of our Sleep Number Bed Covers for $274. I started selling the parts separate because I can make more money that way. 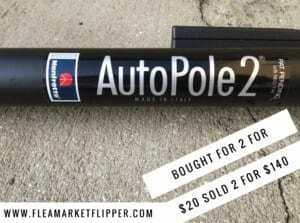 Then I sold 2 of my Autopoles for a total of $140. 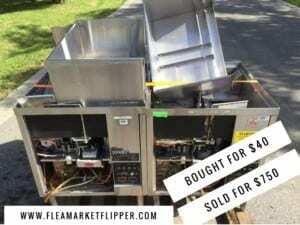 Next were two underbar dishwashers for $750. I didn't have this with me, so I emailed the buyer and made sure it was ok for me to ship them out when I got home the next week. They didn't have a problem with it. Same thing happened with the exercise bike that I had. I didn't have it with me so I packaged it up when I got home. I sold it for $2,000! 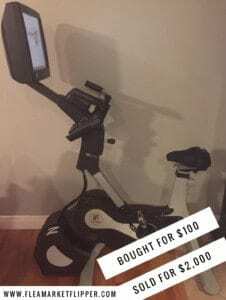 I bought it for $100 and my wife used it for a couple years with her clients before we sold it. It was a great bike! 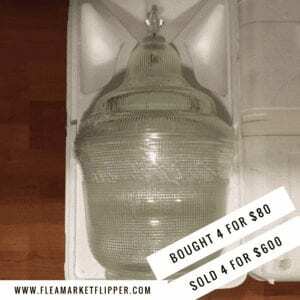 I sold 4 holophane light globes while I was gone too. They were $300 for a pair, so $600 total for those items. 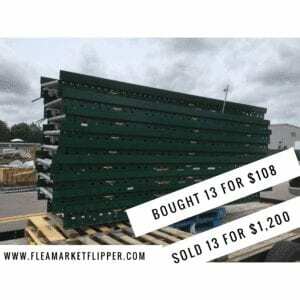 The last thing I sold was 13 large conveyor roller pieces. The buyer wanted 4 of them at first, but after he came to pick them up I ended up selling him 12, and throwing in one for a bonus. 🙂 The total was $1,200 for all of them. I packaged up and shipped out the smaller items on the road, and emailed the people with the larger ones to make sure it was ok to ship them out when we got back. All good! That brings our grand total for the road trip: drumroll please….. $5,603! God is awesome! In case you couldn't tell- I have a blast doing this for a living. Yes it is work and it takes time, but when you enjoy it – it doesn't feel like work! Have you ever thought about selling on eBay? It's not as scary as it sounds if you've never done it. and open up an account now to see how it works! Maybe you are a seasoned eBay-er, but mostly for purchasing. Take a shot at throwing something on there to sell it! If you would like some assistance in growing your eBay income (as well as other online selling sites), then check out our Flipper University online course! It is my 20 years of experience- wrapped into an online course to help you increase YOUR online income! Head on over to eBay drop us your email– and in return I would love to give you a list of 4 tools that I use to help me make successful flips! Tell us about your latest find! 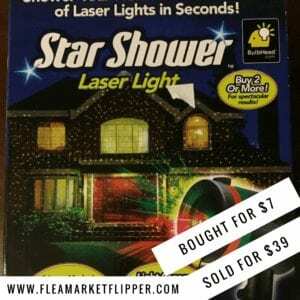 Have you found anything unique that you want to sell online? Or maybe keep for yourself? Tony from New Zealand. Great info about how you sell things. Just wondering when you list items on E-bay etc, do you list at a high price or do you list at lower price and then let bids drive the price up ? It just seems you get such a high price for some items.